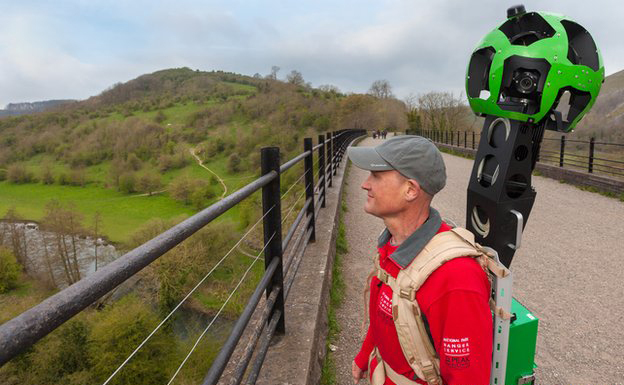 The Peak District is going to become the first National Park in the United Kingdom to be digitally captured by the new off-road version of Google Street View. The off-road camera is capable of capturing 360-degree images and making the into an interactive digital service. This means that a selection of trails will be available for you to explore online, without having to leave your house, from the comfort of your very own chair. Perhaps it may be possible for these captured images to be used as a navigational aid in the future, but hopefully no one will fully rely on Google Street to navigate in the hills. For now though, what will this do for the outdoor and tourism industries? It is possible that in the long run these digital mapping will encourage more people to get out and explore the hills and mountainsides, but there is still a concern that by mapping these remote areas, we are taking away from the special appeal they hold. For many people the countryside and mountains are special because they are an escape from modern day digital life and hold an feeling of escape. Does capturing this on a computer take away from the atmosphere of these remote environments? So with the Peak District being first, where will be next? Perhaps one day we’ll have a Google Street view of the Mourne Mountains, or more than likely the Giants Causeway beforehand. What do you think of the mountains and hills being captured in this digital form? Let us know in the comments below. This seems pretty awesome, but again, will it make the world 'smaller'? I personally love Google streetview and sometimes revisit places or check out places I am planning to travel to. It might even help with route finding as long as peeps don't abandon maps and GPS when out walking.